© 2018 4seasons Photography. All rights reserved. 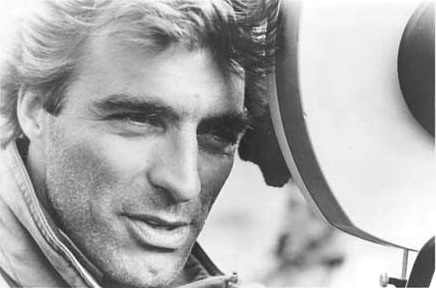 After graduation, Magnoli was asked to edit the MGM film, Reckless (1984), which was being directed by his former USC classmate, James Foley. While editing the film, rock star Prince and his manager, Robert Cavallo, came looking for a director to helm Prince’s feature film debut. Foley passed on the project, but suggested Magnoli. Prince and Cavallo screened Jazz and offered the project to him. Magnoli went to Prince’s hometown, Minneapolis, and sequestered himself in a hotel room for six weeks. There he researched and wrote the script for Purple Rain (1984). As the director, writer, and editor Magnoli delivered Purple Rain to the theaters eleven months later. The Hollywood Reporter described Purple Rain as “sensational and highly visual - an accomplished and sophisticated example of storytelling.” Released by Warner Bros. in nine hundred theaters, Purple Rain topped the box office in its first weekend knocking Ghostbusters from the number one position. Purple Rain has grossed over $156 million dollars worldwide. Magnoli followed with the Lorimar-Columbia feature, American Anthem (1986) and ghost-directed the critically acclaimed concert film, Sign 'O' The Times (1987) starring Prince. Magnoli then began a four-year association with Prince, culminating with Magnoli becoming Prince’s manager and handling his creative affairs. The soundtrack album for Batman (1989) was created during this union, and two #1 videos, Batdance and Partyman were directed by Magnoli to promote the Batman film and soundtrack. Warner Bros. executive Mark Canton and producer Jon Peters then asked Magnoli to take over the directing reins from Andrei Konchalovsky on Tango & Cash (1989) starring Sylvester Stallone and Kurt Russell. The $65 million dollar film was behind schedule and over budget, and Magnoli was asked to begin shooting immediately. Four days later Magnoli arrived on the set, filmed for forty days, and delivered the picture to the studio in time for a Christmas release just two months later. Tango & Cash was a commercial success and has grossed over $186 million dollars worldwide. Magnoli went on to direct Dark Planet (1997) a science fiction film for producers John Eyres and Barnet Bain and the Sci-Fi cable channel. Starring Paul Mercurio, Harley Jane Kozak, and Michael York, Dark Planet was shot in eighteen days with a budget of $800,000 dollars. That same year, Magnoli directed Deliverance an episode of Nash Bridges (1997) for CBS. Albert Magnoli continues to write screenplays for Dark Harbor Pictures and work on various projects including: Captain Blood, Johnny Blackout, Vanished, and Heavy Shadows. 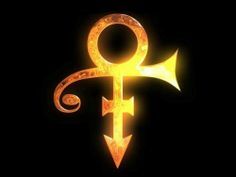 He is currently writing a Television Show titled Mob Bros. Inc.
"The news of Prince’s sudden and unexpected passing is very difficult to process. He was my creative partner and friend. We shared tremendous times together during and after the making of Purple Rain. I know his fans are devastated. I know his music meant so very much to so many people. He was a good man, complicated and diligent, and like men of his caliber, he always demanded from himself and others the very best. Travel well, friend, wherever your next journey takes you." Albert Magnoli - Writer, Director, Editor "Purple Rain"